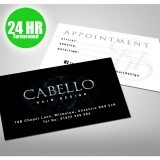 Flyer Printing, Manchester, Next Day Printing, Flyers, Brochures, business cards and more. Final Print graphic design and print services offer a fast, professional and creative solution for all of your design and printing needs. Established in 2004 and based in central Manchester, Final Print design studio provides a one-stop shop for everything from flyer printing and brochure printing to web design and sign making. 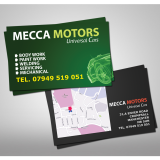 If you need it designed or printed, we've got it covered. We cover all over the UK from Manchester Central, North Manchester, Cheshire and Stockport to Leeds, Birmingham, London and surrounding areas. With our low cost delivery service we can delivery orders directly to you. 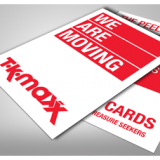 Final Print offers a 'front of house' service, which means that you can speak face-to-face with one of our highly trained graphic designers to ensure that you get great results that exceed expectations. We offer different packages depending on what you need, but each package lets us take your ideas and use them to create a complete and distinct corporate identity or brand image. We have the skills and the resources to design and print anything that you might need to brand or advertise your business, and we've worked with a wide range of clients ranging from charities to corporate business clients - our designers thrive on new challenges and our diverse client list! Our graphic designers work alongside you at all stages of the project, from undertaking detailed planning and research to get the right design and brand image for you, to making sure that your project stays within the agreed budget but meets all of your expectations. Final Print is there every step of the way.